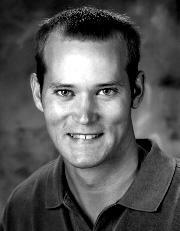 Kevin C. Almeroth is currently a Professor in the Department of Computer Science at the University of California in Santa Barbara where his main research interests include computer networks and protocols, wireless networking, multicast communication, large-scale multimedia systems, and mobile applications. At UCSB, Dr. Almeroth is the Associate Director of the Center for Information Technology and Society (CITS), a founding faculty member of the Media Arts and Technology (MAT) Program, Technology Management Program (TMP), and the Computer Engineering (CE) Program. In the research community, Dr. Almeroth has authored more than 150 refereed papers. He is the chair of the Steering Committee for the ACM Network and System Support for Digital Audio and Video (NOSSDAV) workshop; on the Editorial Board of IEEE/ACM Transactions on Networking, IEEE Transactions on Mobile Computing, IEEE Network, ACM Computers in Entertainment, and ACM Computer Communications Review; has co-chaired a number of conferences and workshops including the IEEE International Conference on Network Protocols (ICNP), IEEE Conference on Sensor, Mesh and Ad Hoc Communications and Networks (SECON), IFIP/IEEE International Conference on Management of Multimedia Networks and Services (MMNS), the International Workshop On Wireless Network Measurement (WiNMee), ACM Sigcomm Workshop on Challenged Networks (CHANTS), the Network Group Communication (NGC) workshop, and the Global Internet Symposium; and has been on the program committee of numerous conferences. Dr. Almeroth is the former chair of the Internet2 Working Group on Multicast, and is active in several working groups of the Internet Engineering Task Force (IETF). He also serves on the boards of directors and/or advisory boards of several startups. Dr. Almeroth has also served as an expert witness in a number of interesting patent cases. He is a Member of the ACM and a Senior Member of the IEEE.